To me J.M. 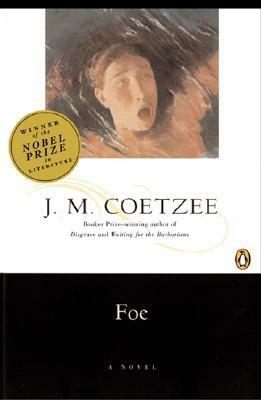 Coetzee’s story Foe is a function of three distinct points of view that takes the reader from a manageable feeling, to a further state of evaluation, and finally to an interpretative position. From a traditional novel it transforms all the way to the more intricate patterns of a meta-fiction that almost leaves you paralyzed. The maddening thing is that you’re never sure where the story ended and the retrospective or fantasy began. That I suppose, is left for the reader to figure out. This book starts off in a rather straightforward manner, maintaining an honest narrative but an eerie feeling from the outset. Let’s get the easy stuff out of the way. The narrator, a young woman named Susan Barton tells the reader about her life in England with her French father and English mother. She has a two-year-old daughter who was abducted without a trace by a lone Englishman. With few leads and nothing but misfortune coming her way, Susan goes south to Brazil to sniff out the trail. (I was never sure how Susan came to believe her daughter was in Brazil. The only mention was of a “New World” and if this is a reference to Defoe’s Robinson Crusoe it was lost on me). Searching and searching and finding nothing, Susan is beginning to lose hope, but stays determined. She boards a ship destined for southern Europe when a brief tryst with the captain leads to an unimaginable, epic, wayward travel complete with thoughts of her own personal demise. A postmodern redux of Daniel Defoe’s Robinson Crusoe. One hundred and fifty or so years after the original, the author stays true using two of the more pronounced characters, encountering mutineers, being threatened by the fear of cannibals and other similar internal motivations like the personal joy and resulting conflicts found in isolating one’s self from society. The author does establish a different approach by using a strong, willful female narrator to tell the story on her own terms, and throwing her into a situation where gender equality let alone insubordination was a non-starter. Coetzee’s Crusoe seemed to lack a diversified motivation and purpose that Defoe’s seemed to have. So while there are parallels, there is also an artistic license that can’t be denied. 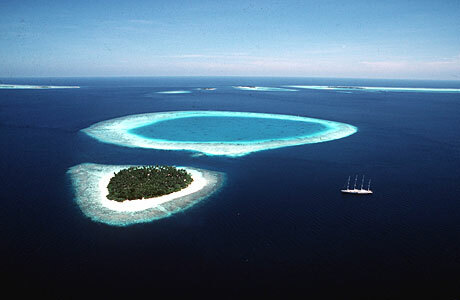 A year spent on an island is not as idyllic of a setting as you may think. After a mutiny and the subsequent murder of the captain left Susan fighting for survival, she drifts away until reaching shore in an unfamiliar environment. To any sea animals. or pirates for that matter, she was ripe for the picking. In the water with the captain’s corpse flanked at her side, she had accepted death, but would like to quench her thirst before taking her last breath. Brought ashore by a voiceless black man named Friday she is taken to a place where she learns the art of deception and its relationship to storytelling as well as the formulation of a past life. Being a mystery himself, good-natured Susan and resigned Robinson conflict at times over life on the island and the lack of urgency to go back to the lives they left behind. A complex relationship that is built on the maintaining of sanity, the forming of companionship, the budding affection, undeniable love and ultimately, survival. The similarities between the instability of life on a desert island and life back in civilization was fascinating. With no money, little food, no one to talk to, Susan desperately needs to find answers, but doubts about her own story plague it’s importance. I enjoyed the intricacies in the development of the story as well as the insecurities and honesty that the author provided from Susan’s narrative. The mystery surrounding Robinson and Friday’s relationship provided an uncertainty as to what was coming in the following pages. As the story develops reality starts to blur for the reader. This can be troubling as some questions seem to be answered, but the characters deviate from expectation, prolonging the mystery and leaving more introspection as to what in the hell was really going on. My main gripe with Foe was that the book seemed to lack the same punch that the first section had. In the middle it lagged and carried on with continuous and for the most part redundant arguments between stubborn Foe and willful Susan about language and people and psychology that stopped momentum that didn’t pick back up until the final pages. In the end I really enjoyed the experience in reading about the power of language, the creation of mythology, and the determination to break through even in the toughest of circumstances. I will keep this author in mind next time I’m hunting for literary treasures. Y’all Seen My Trailer, Y’all Seen My Bicycle, Now Get the Hell on Outta Here.